If you’re new to Seattle or the region, this list will help you understand why the rest of us stick it out during the rainy season. Congratulations, Seattle! You’re about to reach the end of winter. You’ve survived months of gray skies and liquid sunshine. Never mind that the ground is still squishy. Summer is around the corner, and it’s the time to dream about enjoying the spoils of the Pacific Northwest. Our region is loaded with natural wonders. To help you plan, here are some of the classic Northwest experiences (plus some lesser-known alternates). It’s not an exhaustive list, but if you’re new to the Northwest, these six will help you fill out your dance card and understand why the rest of us stick it out during the rainy season. There aren’t many places in the world where you can look into the heart of an active volcano. The 1980 eruption that blew away 1,300 feet of Mount St. Helens left a gaping hole on the north side of the mountain. The volcano continues to be active — small quakes and a growing magma dome make the eruption site feel alive decades later. Courageous souls can take guided tours to various parts of the mountain with the nonprofit Mt. Saint Helens Institute. Hikes include traveling through a lava tube, rim hikes that have you peering over the edge of the caldera, and even journeys into the heart of the crater. 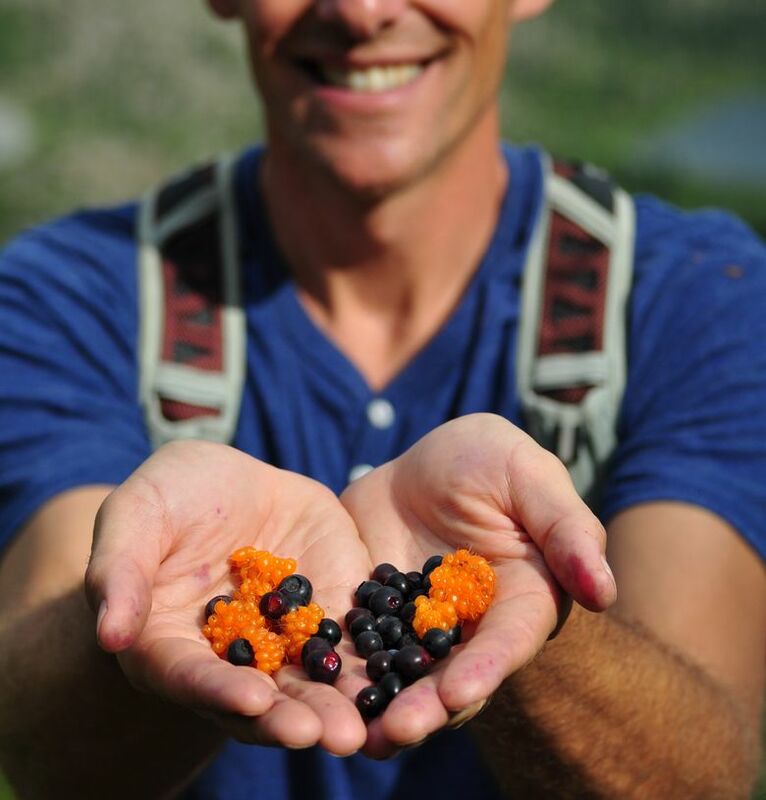 While most casual visitors don’t make it farther than the Johnson Observatory, another good option is the Norway Pass hike, which also surveys acres of downed trees, the log jam on Spirit Lake and offers plentiful huckleberries in the summer. The PCT is one of the longest trails in the country, traveling from Mexico to Canada. Roughly 500 miles traverse Washington through the Cascade Range. While it takes months to do the entire PCT, there’s no reason you can’t spend a few days or weeks on shorter sections. Almost every section of the trail in Washington travels through untouched alpine forests, along knife-edge crests or across fields of wildflowers — and offers a chance for wildlife galore. Some of the best smaller segments include: Snoqualmie Pass to Stevens Pass, the Goat Rocks Wilderness, and Stevens Pass to Stehekin with a return on the Lake Chelan ferry. Long undeveloped stretches of wilderness ocean coastline are a rarity in the Lower 48. But Washington’s outer coast is a mashup of gnarly headlands, arches, eroding stone pinnacles, sea stacks and charming pocket beaches. In the northwestern corner, human settlements are few and far between, making it a beach-hiker’s paradise. Picture raising your tent alone in a sandy cove just a few feet from ocean waves. Or crossing headlands with the help of fixed ropes and cable ladders. Temperate rain forests line the shore, and you frequently encounter enormous fallen old-growth trees. 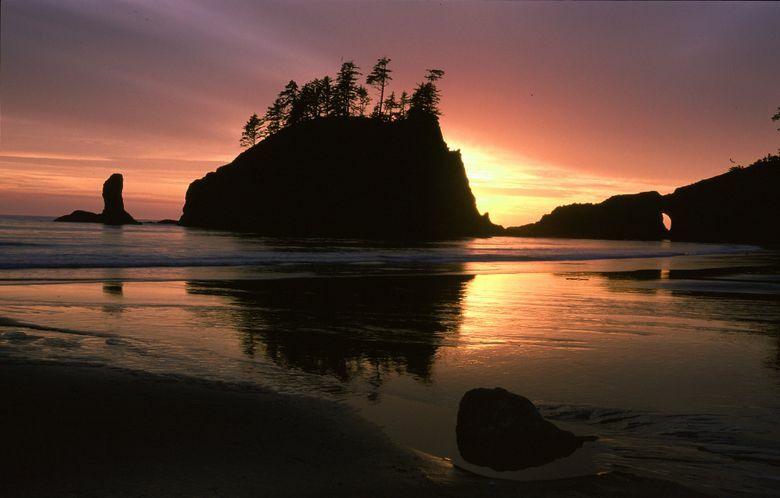 There are three classic routes for multiday trips: Makah Reservation to Lake Ozette; Ozette to Rialto Beach; and Third Beach, near La Push, to the Hoh River. North of the border are the Wild Pacific Trail and 47-mile West Coast Trail, both on Vancouver Island. On a map, they’re just a cluster of islands. From a boat, the San Juan Islands are a tree-studded, waterworld maze. With thousands of inlets, bends and coves to explore, the San Juans offer world-class boating. For those with sailboats or powerboats, anchoring in scenic little harbors is quintessential Northwest. But the archipelago is especially ripe for kayaking. Skim glassy waters, catching views of two mountain ranges. Watch for eagles, seals and orca whales while camping on isolated beaches. Glide over living carpets of bull kelp. Plumb the depths for Dungeness crab or drop a line in the water to hook a salmon dinner. Those with experience could string together a DIY adventure route, crossing narrow passages on an island-hopping spree. 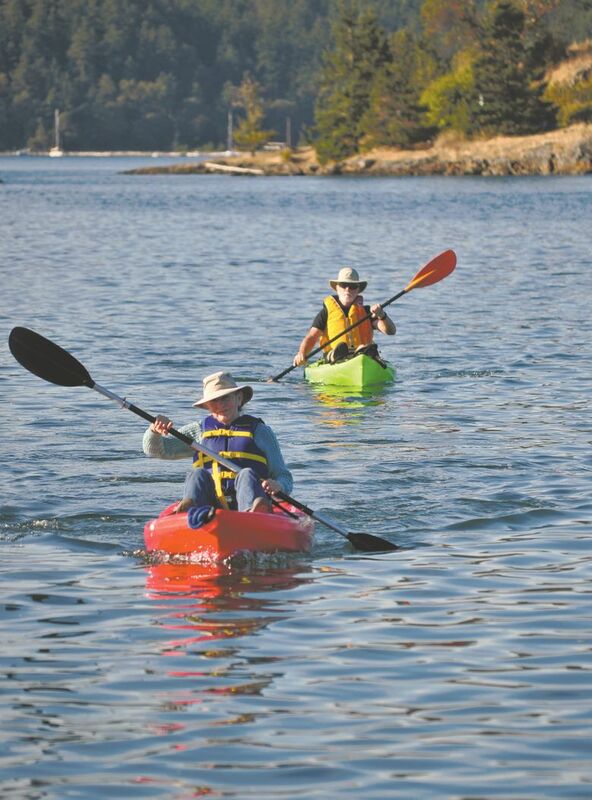 Guided kayak trips include options for half-day, sunset or multiday tours. A large number of tours depart from Friday Harbor on San Juan Island. A lesser-known option is to depart from Roche Harbor, which accesses lesser-touched regions of the islands. If you’ve ever flipped through a Washington State calendar, you’ve seen the shot: rolling rainbows of wildflowers in the foreground and a snow-crusted mountain behind. There’s a good reason why Mount Rainier is in every calendar. Starting midsummer, hikes bedazzle with colorful ground cover fronting a peak dripping with glaciers. Day hikes from Paradise and Sunrise (the two main visitor areas) are known for prolific wildflower meadows. And they’re often crowded. 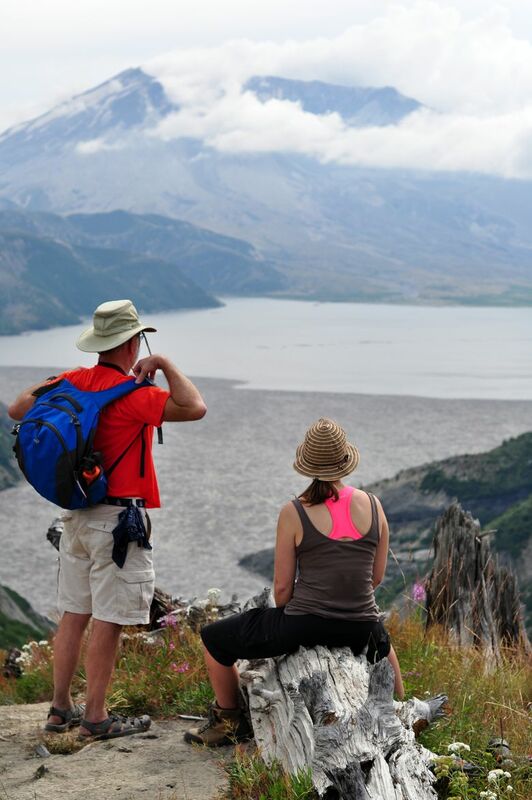 You’ll encounter fewer people at Reflection Lakes, Grand Park, Naches Loop and Mowich Lake. 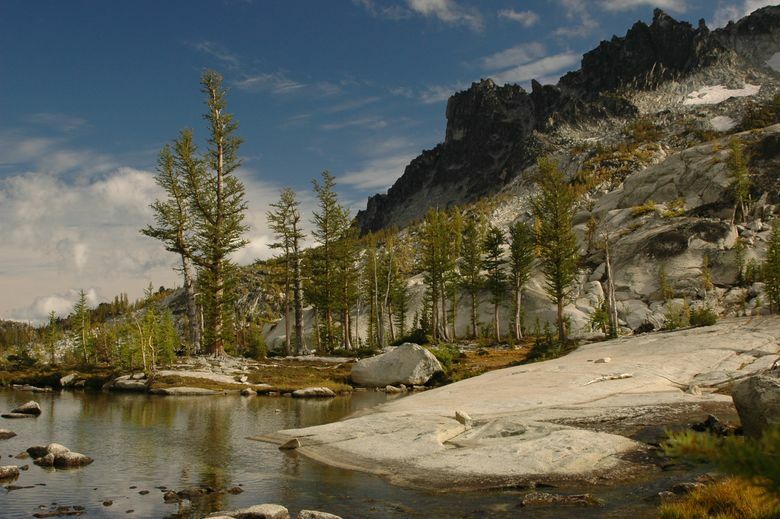 Of all the backpacking locations in Washington, The Enchantments might be the crown jewel. A series of pristine interconnected lakes meander through alpine valleys surrounded by jagged peaks. Quaint pathways and tiny bridges wind around crystal-clear lakes and boulders. Mountain goats are commonly seen, and almost everywhere you look it’s achingly beautiful. This delicate ecosystem would be overrun if a permit system didn’t limit overnight visitors. A preseason lottery is held Feb. 15 through March 2 of each year to allocate the majority of permits. But even without winning the permit lottery, you’re not totally sunk. Before May 15 and after Oct. 31 permits are not required, although you can expect snow. A small number of overnight permits are available on a daily walk-in basis at the ranger office in Leavenworth. A drawing takes place Monday-Saturday at 7:45 a.m.
Strong hikers can do a very long day hike into the Enchantment core, which does not require a reservation. Most start from the Stuart Lake trailhead, which has less elevation gain. The Snow Lakes trailhead is also a possibility. Either way, it’s a grueling climb with lots of mileage. 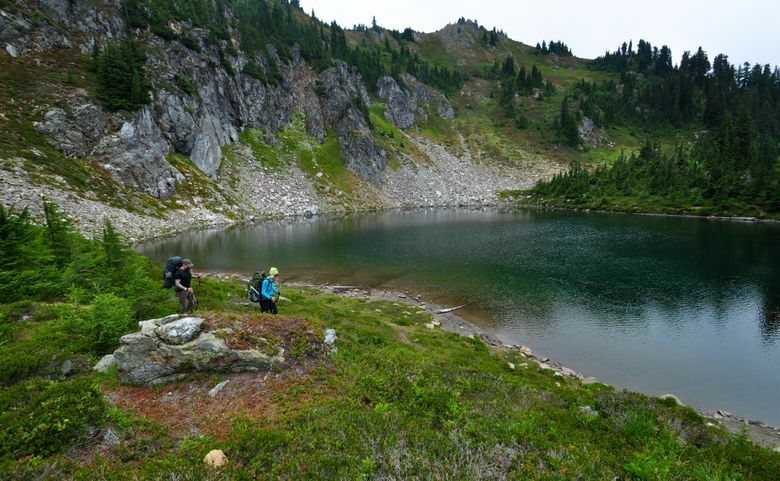 Similar experiences without a lottery: High Divide Loop in the Olympics and Tank Lakes near Skykomish. Freelance writer Jeff Layton lives in Chelan County. Follow his outdoor adventures on his blog www.MarriedToAdventure.com.